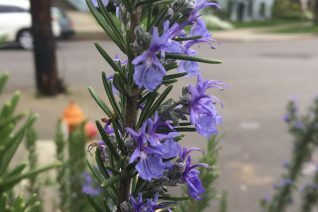 This beautiful, deep sky blue flowered rosemary we found planted at a 100 year old farmhouse in Milwauke, OR. The flowers are scintillating and this plant- installed in the early 1980’s, has proven longevity as well. To 3′ tall by 5′ wide eventually. Blooms appear unabated from autumn to summer. Vigorous evergreen shrub with an upright and then spreading habit. Full sun and no water necessary once established. It can take light, regular water in summer as well. Otherwise, it thrives on only what fall from the sky. 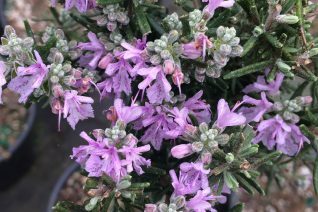 A very showy winter blooming shrub for hot locations, south facing hillsides, adjacent to walls, asphalt anywhere another less heat durable plant would fry. Moderate deer resistance. Pungently aromatic and great for culinary use. Prune- if needed, in late spring following bloom. Blooms on wood from the previous season. This variety would make an admirable upright, clipped hedge. Named by and for our friend Carol. Thanks Carol. After almost 30 years of selling plants I can say that usually the first plant to go into a garden is Rosemary. And why not? It loves our climate. Its drought tolerant beyond measure and heck its even edible. And that fragrance. One thing you might not think of is winter flowers. This form from an ancient plant that has unique flowers. From September to June it is alight in clouds of soft violet blue flowers. Flowers all winter! Excellent as a specimen or hedge. This cold hardy variety can inhabit the coldest gardens. And my god there is always pork. To 3′ tall x 5′ wide in 10 years. Full sun and average soil that drains. Light to little summer water required. Moderate deer resistance. 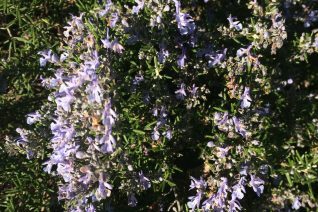 We can’t all have ordinary blue flowered Rosemary. Not when there are options. This upright growing very aromatic selection has surprised us with its hardiness to cold. 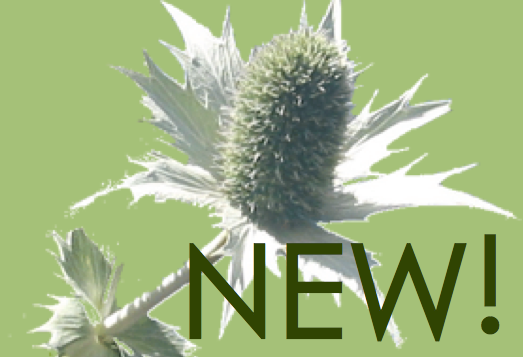 To 3′ x 3′ in 5 years in average to poor, well drained sites. Full sun. This happy shrub displays small but profuse red/pink flowers from September to March and often later than that. Excellent culinary use. Extremely drought tolerant. Little water once established. Great form for topiary. Very pretty in bloom. Foliage is smaller and a distinctive gray green. Moderate deer resistance. 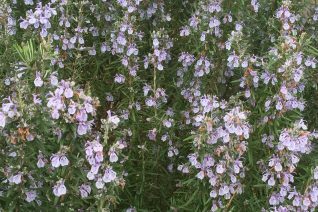 Nice semi-scandant growing spreading Rosemary that has pink flower buds that open to blue flowers. Continuously blooms from September to June. Excellent winter display that appeals to cool loving pollinators. Arching stems to 2′ tall and spreading to form a 3′ wide shrub in just a few years. Best on a slope or any well drained site in full sun. Water to establish then none in subsequent years. Trails densely to inhibit weeds. Match with other drought adapted evergreens- Cistus, Ceanothus, Arctostaphylos. Great for culinary use with very concentrated oils in the smaller congested leaves. Evergreen. Great bank cover that will root into the ground where stems connect. Easy to grow shrub in our climate. Moderate deer resistant. 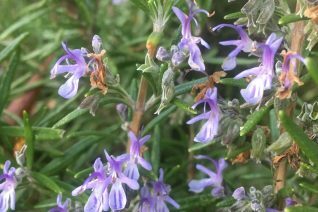 A really good and kind of rare form of Rosemary that was selected for much broader and larger leaves. Which makes it ideal for culinary use. The intense pine scent that pervades the whole evergreen shrub is delightful. Makes me think of pork. Heh. Upright growing cultivar that easily achieves 4′ x 4′ in 5 years. Pale blue flowers are prolific from September to May- peaking in midwinter. Full sun and average, well drained soil. Light summer water then none when established. Takes very well to pruning. This form is especially cold hardy and survives temperatures down to 0ºF easily. Excellent specimen, winter blooming component to a dry border, or an herb garden. Incredibly tough long lived cultivar. Moderate deer resistance.